The writer’s voice is everything the writer brings to the experience of writing short fiction, including education, socialization, values, beliefs, religion, opinions, and life experiences. The writer’s writing style is part of voice. This writing style is what makes a writer authentic, original, different from other writers. It is what readers hear when they read the short story. The writer’s voice is their “public persona,” which is revealed on the page. The most important features of writing style are word choice or diction, sentence patterns, literary techniques, and tone. One of the popular writing styles of fiction is the minimalist style. It was a style popularized by Ernest Hemingway, and also endorsed by Raymond Carver. This style focuses on the belief that “less is more.” Writers use short paragraphs, short sentences, write with the active voice, and use action verbs and concrete verbs. The writer omits or deletes every detail that is not essential to the writing. Subtext plays a strong role in this style of fiction. You can develop your fiction writing style by reading and analyzing short fiction, and then incorporating the techniques of other writers into your own fiction. How to identify the author’s writing style. Suggest a writing style to use for writing fiction. Learning to write lyrical prose. Developing your own writing style. The writer’s style of writing is expressed through word choice or diction, tone of the writing, the use of imaginative language, such as simile, metaphor, imagery, the types of sentences or syntax , as well as the choice of fictional techniques. The best short fiction writers use everyday language in a fresh and original way. They also avoid using avoid clichés and jargon. Often they share an interesting word that we’ve never heard—a word that has powerful meaning. The best short fiction writers use a variety of sentence patterns, such as the use of loose and periodic sentences, sentence fragments, simple, compound, complex, compound-complex sentence. The best short fiction writers use a variety of literary techniques, such as flashback, suspense, dialogue, showing and telling, and interior monologue. The best short fiction writers also use the poetic devices of poetry, including simile, metaphor, personification, imagery, alliteration, and allusion. Some writers use similes and metaphors infrequently, such as Carver and Hemingway. Other writers use them a great deal. How does the writer begin the short story? With conflict? With setting description? With dialogue? With action? With a memorable event? How does the writer develop the setting? What is the time and place of the story? Is it real or fantasy? Does the setting create a mood? Is the setting the antagonist? Does the setting provide a backdrop for the story? A short story must include conflict, turning point, and resolution. Identify the conflict, turning point, and resolution of the story. Which point of view does the writer use? What is the theme? How does the writer reveal theme to the reader? Where does the writer use scene and summary? What are the features of each scene? where is there dialogue in the story? How does the writer use dialogue? What conventions are used? What fictional techniques does the writer use? What poetic devices does the writer use? What is the writing style of the writer? Does the writer use simple or fancy words? Does the writer use simple sentences , compound sentences, or fragments? How does the writer end the story? Does it include an epiphany? Lesson learned? Is the ending open, closed, or a summary? Short words and everyday language, as well as familiar instead of fancy words. Author Constance Hale, in “Sin and Syntax,” explains how you can learn to write literary prose. There are found components: voice, lyricism, melody, and rhythm. The writer must consider the literary meaning and implied meaning of words, as well as avoid using clichés and jargon. The writer should also use a variety of sentence patterns, such as a fragment, simple, and compound sentences. Personification. Describing things and objects and ideas by using human attributes. Example: The bible preaches its wisdom to anyone who takes the time. Description. Using concrete, significant, and particular description. Example: He pressed the shutter on his black Nikon, full-frame camera, using a wide-angle lens, capturing a fleeting moment in time, a man being shot by police, for all the world to see. Repetition. Repeating words and phrases in a sentence or sentences that are close to each other. Streets and highway filled with an avalanche of snow. The plows bulldoze it away. Icicles hang from the eaves like a work of installation art. Cars stuck, spinning their wheels. The Maple leaf, stands, watches, as the neighborhood shovels. Kids frolic, build snow forts, toboggan down hills of snow in the park behind the school. The storm has interrupted daily routines and rituals. Assonance-Positioning two or more words with the same vowel sounds close together in a sentence. Alliteration- Positing two or more words with the same initial consonant sounds in a sentence. Internal rhyme Selecting words that rhyme and using them in the middle of a sentence. Onomatopoeia -Using words that sound what they describe. Example: The fire crackled. Part of learning to write is developing your own writing voice. How do you do this? There are several ways. The most important advice I have read was written by Elizabeth Berg, the author of “Escaping into the Open: The Art of Writing True.” She suggests that you can develop your writing voice by putting down on to paper the words you are hearing in your mind. In other words, be yourself as you write. Use your own words, and don’t imagine you are someone else as you write. Write honestly—share your thoughts, feelings, opinions, impressions, stories that are important to you. And share them by using your own language–how you speak. She also suggests that you should not write about what you know but that you should write about what you love, what you are passionate about. Next, you should write often and regularly. Start by keeping a journal. Write everyday in this journal, recording observations, interesting quotations, memorable lyrics, overheard conversation, lines of poetry. Write poetry, anecdotes, short, short essays. Try using the technique of stream of consciousness. Write by freewriting. Record “small, fleeting moments.”Ask a question to yourself, and then write an answer. Include interesting photograph, news stories, advice columns. Write about your emotional truth—how you felt about something. In your journal, you can write about anything. Journal writing helps you develop the habit of writing and your writing skills. It can also be a place where you record “possible ideas” for a poem, short story, and personal essay. Next, read short stories to learn how the writer constructed the story. If you are not sure, read “How to Read Like a Writer” by Francine Prose. Learn to the major types of sentence patterns and then to write poetry, short fiction, and personal essays. The syntax of a sentence is an important feature of the writer’s voice. To develop your own voice, learn to write simple, compound, complex, compound-complex sentences. Learn when to use a sentence fragment and how to write using parallel construction. Learn how to use items in a series. Learn how to write both periodic or cumulative sentences. Where can you go for advice? Language choices contribute to writer style. Therefore, you should own a dictionary and thesaurus. Use them for enjoyment and to improve your language skills. Develop your language skills by looking up the meaning of words you don’t understand in a dictionary. Find the precise word by checking your thesaurus, which includes synonyms. To expand your vocabulary, begin learning a word a day. Use the words you learn in your writing. Don’t write to impress. Instead, use language to express yourself, to communicate meaning, to entertain, to share important ideas, knowledge, and wisdom with your audience. If you aspire to become a creative writer, learn how to write imaginatively. Imaginative writing involves learning how to show and tell the reader, writing vivid descriptions of sensory imagery–language that appeals to the reader’s sense of sight, smell, taste, touch, hearing. It involves using literary devices of simile, metaphor, personification, symbolism, and other devices that you find in fiction and poetry and creative nonfiction. There are countless books on the market that you can purchase. 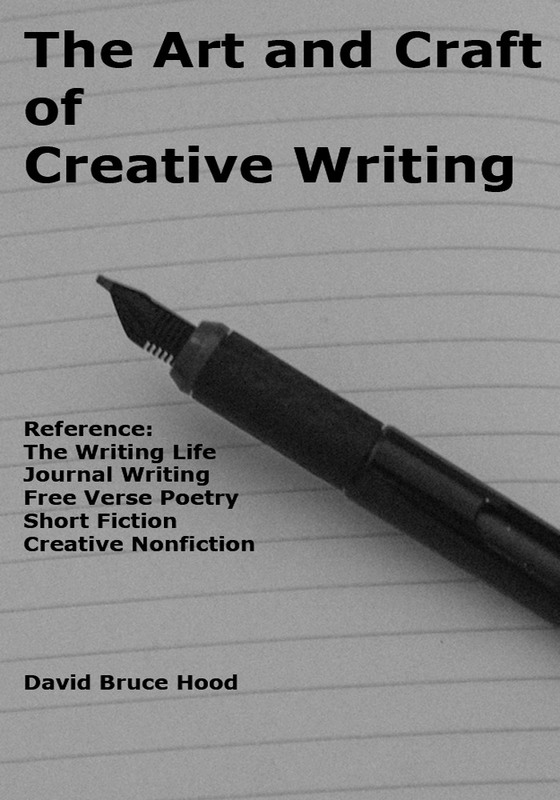 For a good overview on how to write creatively and imaginatively, I suggest you purchase “Imaginative Writing: The Elements of Craft” by writer/instructor Janet Burroway. It’s a superb text that will help you. It takes time to develop your writing voice, providing you write on a regular basis. Many writing instructors suggest you keep a journal and experiment in it. In part, developing your voice is an unconscious effort–you learn by reading and writing, without making a conscious effort. In part, you can make a conscious decision to develop your voice. For instance, you can learn to read like a writer. You can learn grammar, spelling, punctuation. You can experiment with language and sentence variety. You can make a conscious choice about what sort of tone to use. The easiest way to develop your voice is to “put down on paper” what is on your mind. Poets use various poetic devices or figures of speech to make comparisons. These figures of speech are intended to enhance understanding, to entertain, to add deeper meaning, and to enrich the quality of a poem. These figures of speech are also used by writers in other forms of creative writing, such as short fiction, novel writing, personal essay, and memoir writing. The neighborhood is like a ghost town. The sick man looks like a corpse. You are free as a gold-fish in an aquarium. He writes as if possessed by a demon. She strolls down the beach like a model on a runway in a fashion show. The truck is rusty as a wreck in the scrap yard. It is a poetic device or figure of speech in which the poet suggests the one thing is another. The poet does not use “like” or “as” to make the comparison between two different things. Often the word “is” or “of” is used to make the comparison. The purpose of a an explicit or implied metaphor is to entertain the reader, to help the reader understand, to add deeper meaning to a poem. The running back is a tank. The house is a mausoleum. I can see the light at the end of the rainbow. I make my goal to shake every hand that walks in the door. It is a poetic device in which the poet an image to represent something other than its literal meaning or dictionary meaning. A symbol is usually a physical object used to represent some abstract idea. For instance, a rose can be a symbol of beauty. A dove can be a symbol of peace. The cross can be a symbol of Christianity, faith, Jesus. The lion is a symbol of courage. The gun is a symbol of violence. Poets use well-established symbols in their poetry, such as darkness for ignorance or light for knowledge. Many poets also create their own symbols and then use them in a poem. Not all images are intended to be symbolic. Sometimes a gun is just a gun, or a clock is just a clock. It is up to the reader to analyze and then identify the symbol in the poem. For instance, a poet might make reference to a ticking clock in his poem. The purpose of the clock might be to symbolize the passage of time. It is a poetic device or figure of speech in which the poet makes reference to the “part of something” instead of its whole, and this part is used to represent the whole. It is a poetic device or figure of speech in which one thing closely associated with another thing is used as a substitution. Frances Mayes, author of The Discovery of Poetry, states that a metonymy is ” an identifying emblem” substituted for the whole name. In other words, an associated quality or name or emblem, which is not part of the whole, is substituted. It is a poetic device or figure of speech in which the poet assigns human characteristics or human attributes to nonhuman things, such as ideas, concepts, places, objects, animals. The purpose of personification is to add deeper meaning, to entertain, to describe. T.S. Eliot often used allusion in many of his poems. For instance, in The Wasteland, he includes “I remember/those are the pearls that were his eyes…,” a reference to Shakespeare’s The Tempest. To master the art and craft of writing poetry, you must learn the poetic devices of comparison, such as simile, metaphor, and symbol. Once you`ve learned these poetic devices, you can use them to write powerful, entertaining, memorable poems.